Warning: Content may upset sensitive readers. As the world reacts to news of a recent lion attack, we take a look at a book that details why captive lion breeding and canned hunting should be abolished. According to News24, a game reserve owner was recently hospitalised after being attacked by one of his lions. The owner apparently sustained injuries to both his neck and jaw. The lion who was named Shamba was shot and killed during the incident. The 72-year old Michael Hodge who has raised Shamba since birth is currently recovering and, as last reported by News24, undergoing physiotherapy and dealing with the trauma of being attacked. The privately-run reserve was first opened in 2010. Family spokesperson Bernadette Maguire added that hunting wasn’t allowed at their site and that while Hodge was fully aware of the dangers of the enclosure where the incident took place, he was nevertheless caught off guard by the attack. While it’s a relief to hear that Hodge will be okay and that no hunting has been permitted at his park, it’s a sad reality that in other places in South Africa, canned hunting and captive breeding are unfortunately still a problem. 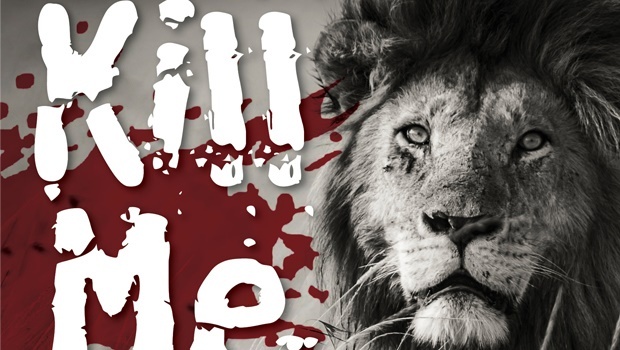 In Cuddle Me Kill Me, veteran wildlife campaigner Richard Peirce’s book about the lion breeding and canned hunting industry, he reveals shocking and horrifying details about what goes on behind closed doors. And how, in the final stage of exploitation, they are served up in fenced enclosures for execution by canned hunters – or simply shot by breeders for the value of their skeleton, a prized product in the East. Below, we feature an excerpt called Battle for Survival, which details the struggles of young cubs trying to survive after being taken away from their mothers. When Lizaene had first come to work at Cheetah Experience she had accepted the explanations given to her as to how cubs became orphans. She had variously been told they were abandoned, were a first-time litter and the lioness had not known what to do, had been rejected at birth, were at risk of being killed by a male, and so on. She had no reason to doubt these explanations. Many years before, in 1997, Britain’s ITV had broadcast a programme called Making a Killing, which exposed the highly contentious practice known as ‘canned hunting’ – the shooting of animals that are fenced in and unable to escape the ‘hunter’. This was part of an investigative TV series called The Cook Report presented by Roger Cook. 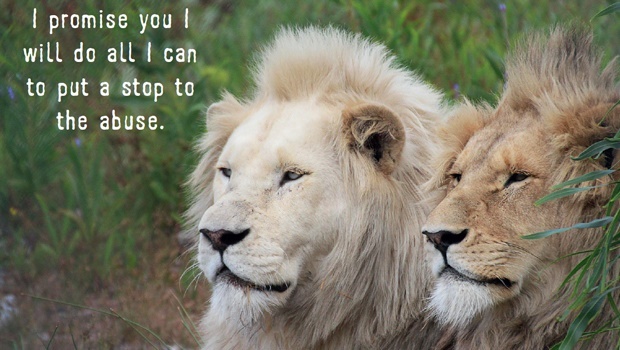 The initial impact of the programme was huge, and canned hunting was widely condemned. 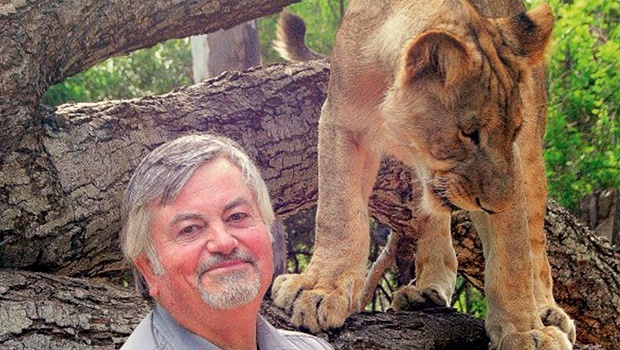 Image: Roger Cook pictured with a lioness. Image provided by and published with permission from Penguin Random House South Africa. However, once the furore had died down things went back to normal and hunting of captive-bred lions not only continued, it expanded. Lizaene was 16 at the time Making a Killing was broadcast, and was unaware of it. She went to university where she did a degree in psychology, then worked in human resources at a large cleaning company before joining Cheetah Experience as a member of staff. She soon realised the orphan cubs were being used to make money. But raising cubs also cost money: they needed veterinary attention, feeding and had to be cared for, etc., so she accepted that funds had to be generated. Cubs made money by attracting volunteers who paid to raise them, and day visitors who paid to cuddle them. Later, they would be trained to walk with paying humans, and some would appear in films and advertisements, while others would be sold to zoos and private owners all over the world. Lizaene and other staff workers and volunteers all over southern Africa constituted a large army of people who were so focused on a demanding and time-consuming job that only rarely did any of them question what they were involved in. This enabled the breeders to exploit their workers just as they were exploiting the animals they were breeding. 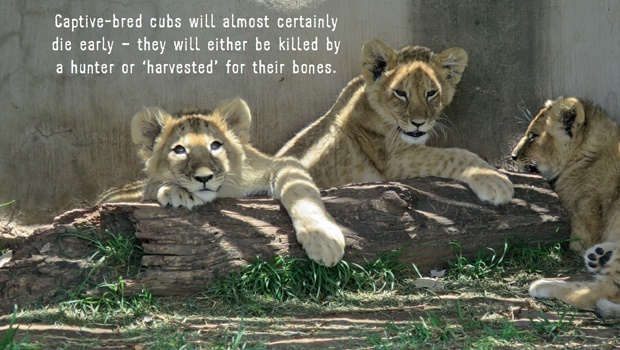 Eventually, all staff would become aware of the way the industry worked: that at virtually every stage of the animals’ lives they were being used to generate money for breeders and other exploiters, and that the cubs the volunteers helped raise would die young from hunters’ bullets. At this point, many would move on in disgust. But there was always a ready supply of others eager to take their places – until the truth dawned on them too. Image: Captive-bred lion cubs. Image provided by and published with permission from Penguin Random House South Africa. The cubs newly arrived at Cheetah Experience had also been born in October so the use of an initial ‘O’ for their names was continued: the males became Obi and Orion, and their sister Opal. When introducing the earlier litter to their first bottle feed, Lizaene and her helpers had been dealing with three strong, squirming and wriggling little fur-covered ‘tadpoles’. The new arrivals were smaller and weaker, and Lizaene knew that their will to live would be a major factor in deciding whether or not they survived. What’s more, Oliver and his sisters had had four days of their mother’s milk and antibody-rich colostrum. In contrast, the three new cubs had not fed from their mother at all, which meant that not only did they lack the colostrum that was so vital for their immune systems, but they were by now also dehydrated. The staff cleaned the cubs, made sure they were warm, and an hour after they had arrived tried to get them to bottle feed. Obi took a few millilitres on the second attempt, but the other two didn’t take any milk until early that evening. Lizaene’s helpers tried to feed the cubs every hour to alleviate their dehydration, ensure that they got colostrum, and to build their strength. They were up all night and dozed in chairs between feeds. To add to the workload, every five or six hours Oliver and his sisters also had to be fed, cleaned and put back to sleep. By dawn, the new cubs were a day old and all three were drinking but Lizaene didn’t think it was enough, and she was especially worried about the two that hadn’t fed initially. Another worry was her ability, and that of her helpers, to carry on with this punishing schedule. There were now six cubs to feed, and while the older ones were only fed five or six times a day, the others needed feeding at every opportunity. She worked out a rota for two teams for the next four days. It didn’t involve much sleep but she hoped it would enable them all to carry on until the tiny cubs were feeding properly and out of immediate danger. Then they could return to some sort of normality. Days and nights merged into a long, almost timeless existence in which the needs of the cubs dictated everything. By the end of the fourth day after the arrival of the second litter, Lizaene was much more optimistic about the new cubs’ survival. They had passed meconium, were being fed at roughly the same times as Oliver and his sisters, and the amount they were drinking was increasing steadily. A new rota was now worked out, allowing the surrogate mothers – who had begun to feel like zombies working on autopilot – to get more of the sleep they desperately needed. Mistakes happen when you are as tired as this, so getting back to a semblance of normality was both a relief and a necessity. Oliver and his sisters were now two weeks old, had their eyes open, and were cuddly and more fun with each passing day. 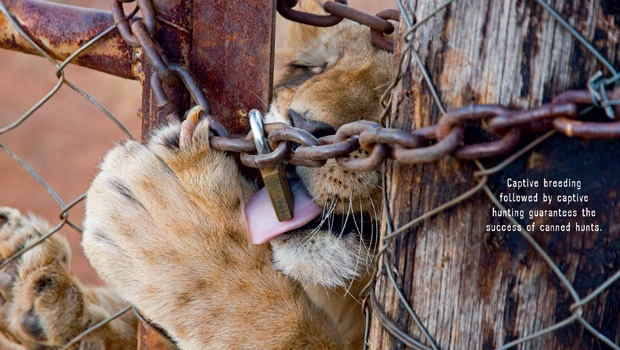 Image: A lion behind a chained gate. Image provided by and published with permission from Penguin Random House South Africa. Cub cuddling and handling is called ‘petting’ in South Africa, and while some places allow the public on day visits to bottle feed cubs, this did not happen at Cheetah Experience, at least for newborn cubs. Only Lizaene and the resident volunteers would feed the cubs until they were about 10 weeks old; then the paying public would start to get their hands on them. The younger litter was not as strong as Oliver and his sisters, nor were they developing as fast, but they seemed to be making steady progress. Then suddenly, after nine days, disaster struck. All the cubs had had mild diarrhoea but Orion got worse and two days later so did Opal. Obi remained the strongest and had milder symptoms than his siblings. The battle to save their lives meant that days again merged into nights as the team fought to replace the fluid that was continually being lost. These were desperate times for the support team: they tried their best and never gave up hope, but deep in their hearts they knew they were not going to win. In addition to the diarrhoea, the cubs had now started having fits – which looked like epilepsy – and two days later, within three hours of each other, Orion and Opal both died. Soon after the cubs’ arrival, Lizaene had noticed that Opal had a swollen front paw as if she had stepped on a bee and been stung. X-rays were taken that revealed she was missing her wrist bones and had other bone deformities. Lizaene was fairly sure the cubs had died as a result of their bad start in life – from factors such as the stress of being taken away from their mother, not fed for several hours and missing out on colostrum from mother’s milk. Image: Two resting lions. Image provided by and published with permission from Penguin Random House South Africa. She felt that, additionally, Opal’s bone deformities were probably due to inbreeding, and there had possibly been other deformities in her organs that the X-rays had not revealed. Although the two cubs had appeared to be progressing, perhaps all the time their underlying problems had been waiting in ambush. They were both casualties of the lion-breeding industry. There were no tears as Lizaene buried the two small, lifeless bodies side by side. Instead there was a firm set to her jaw, and in her heart a white-hot anger. This was another milestone along her journey, which would eventually lead her to condemn captive lion breeding and to work actively against it.